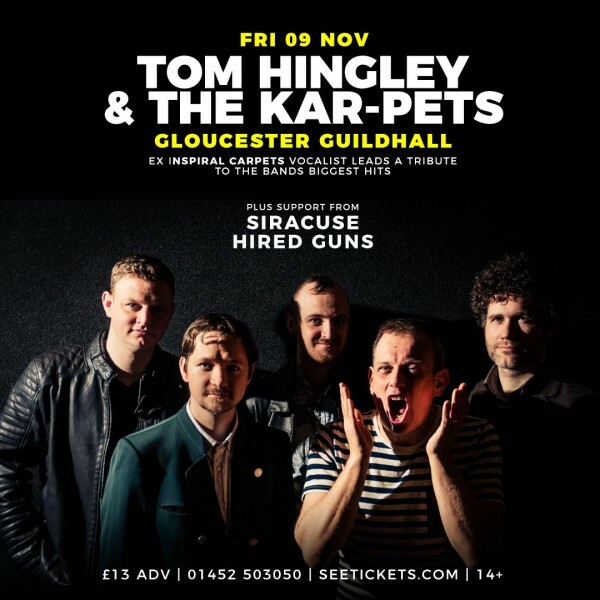 An Inspiral Carpets tribute band, but with a HUGE difference: their lead singer Tom Hingley was actually the lead singer with Inspiral Carpets from 1989-2011. Tom sang on all the Inspirals chart hits, including This is How it Feels, Saturn Five, Dragging Me Down, I Want You, She Comes in the Fall and all the songs on the bands four Major label albums - Life (1990) The Beast Inside (1991) Revenge of the Goldfish (1992) and Devilhopping (1994). Formed in 2016, the band play all of Inspirals Greatest Hits as well as the whole of the band’s Revenge of the Goldfish album and a healthy selection of obscure B-side and fan favourites.